In simple chemistry, as per valence bond theory, the carbon atom must follow the 4-hydrogen rule, which states that the maximum number of atoms available to bond with carbon is equal to the number of electrons that are attracted into the outer shell of carbon. In terms of shells, carbon consists of an incomplete outer shell, which comprises 4 electrons, and thus has 4 electrons available for covalent or dative bonding. Methane (CH4) and ethane (C2H6) are gaseous at ambient temperatures and cannot be readily liquefied by pressure alone. Propane (C3H8) is however easily liquefied, and exists in 'propane bottles' mostly as a liquid. Butane (C4H10) is so easily liquefied that it provides a safe, volatile fuel for small pocket lighters. Pentane (C5H12) is a colorless liquid at room temperature, commonly used in chemistry and industry as a powerful nearly odorless solvent of waxes and high molecular weight organic compounds, including greases. Hexane (C6H14) is also a widely used non-polar, non-aromatic solvent, as well as a significant fraction of common gasoline. The C6 through C10 alkanes, alkenes and isomeric cycloalkanes are the top components of gasoline, naphtha, jet fuel and specialized industrial solvent mixtures. With the progressive addition of carbon units, the simple non-ring structured hydrocarbons have higher viscosities, lubricating indices, boiling points, solidification temperatures, and deeper color. At the opposite extreme from methane lie the heavy tars that remain as the lowest fraction in a crude oil refining retort. They are collected and widely utilized as roofing compounds, pavement composition, wood preservatives (the creosote series) and as extremely high viscosity shear-resisting liquids. ^ a b c d e f Silberberg, Martin (2004). Chemistry: The Molecular Nature Of Matter and Change. New York: McGraw-Hill Companies. ISBN 0-07-310169-9. ^ Guzman-Ramirez, L.; Lagadec, E.; Jones, D.; Zijlstra, A. A.; Gesicki, K. (2014). "PAH formation in O-rich planetary nebulae". Monthly Notices of the Royal Astronomical Society. 441: 364. arXiv:1403.1856. Bibcode:2014MNRAS.441..364G. doi:10.1093/mnras/stu454. ^ Nunes, T.M. ; Turatti, I.C.C. ; Mateus, S.; Nascimento, F.S. ; Lopes, N.P. ; Zucchi, R. (2009). "Cuticular Hydrocarbons in the Stingless Bee Schwarziana quadripunctata (Hymenoptera, Apidae, Meliponini): Differences between Colonies, Castes and Age" (PDF). Genetics and Molecular Research. 8 (2): 589–595. doi:10.4238/vol8-2kerr012. PMID 19551647. Archived (PDF) from the original on 26 September 2015. ^ Eskandarlou, M; Moaddab, AH (Aug 2010). "Chest wall necrosis and empyema resulting from attempting suicide by injection of petroleum into the pleural cavity". Emerg Med J. 27 (8): 616–8. doi:10.1136/emj.2009.073486. PMID 20558490. ^ Mason OU, Nakagawa T, Rosner M, Van Nostrand JD, Zhou J, Maruyama A, Fisk MR, Giovannoni SJ (2010). "First investigation of the microbiology of the deepest layer of ocean crust". PLoS ONE. 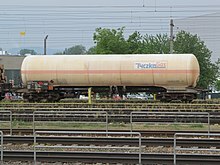 5 (11): e15399. Bibcode:2010PLoSO...515399M. doi:10.1371/journal.pone.0015399. PMC 2974637. PMID 21079766. ^ Yakimov, M. M.; Timmis, K. N.; Golyshin, P. N. (2007). "Obligate oil-degrading marine bacteria". Curr. Opin. Biotechnol. 18 (3): 257–266. CiteSeerX 10.1.1.475.3300. doi:10.1016/j.copbio.2007.04.006. PMID 17493798. ^ "Microbial Degradation of Alkanes (PDF Download Available)". ResearchGate. Archived from the original on 24 February 2017. Retrieved 23 February 2017.